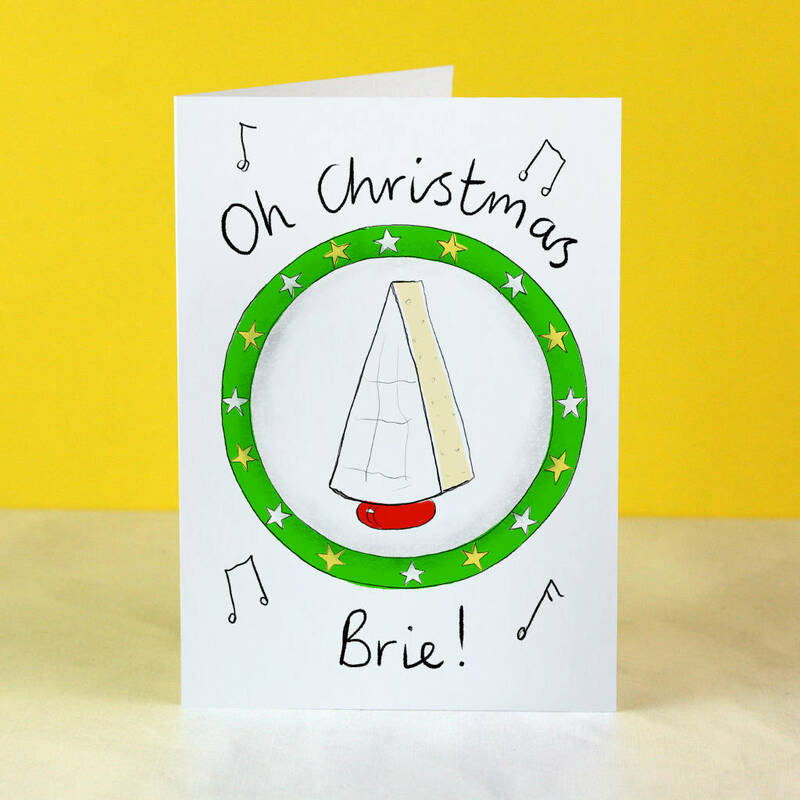 'Oh Christmas Brie' - we love this cheesy Christmas card! The perfect card for cheese lovers! 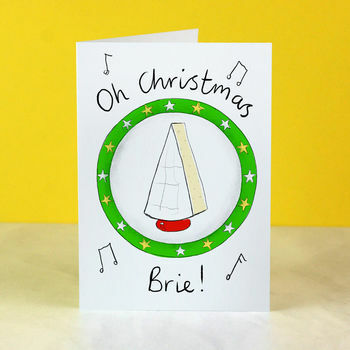 Celebrate the season for scoffing with our fun Christmas card! Send your seasonal wishes with this lovely little food pun card designed and printed in our Devon studio. Available as a single card or in varying pack sizes. Printed on 300gsm matt card, supplied with a YELLOW envelope and packed in a clear cellophane.